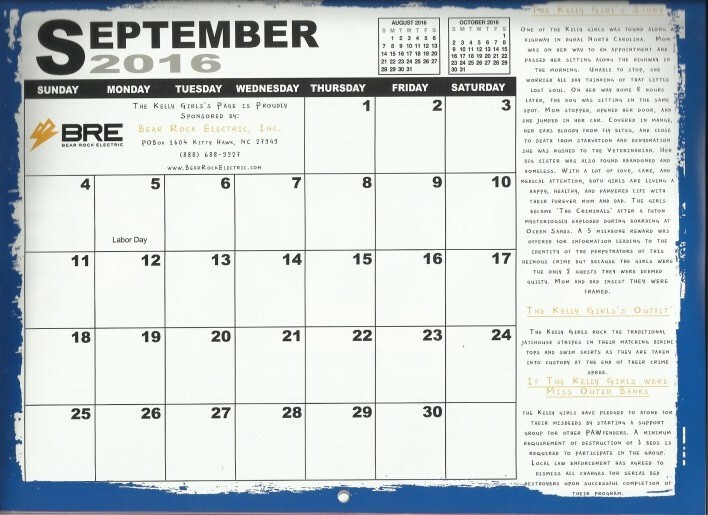 Bear Rock Electric, Inc. (BRE) is a proud sponsor of the OBX Beach Babes 2016 calendar. 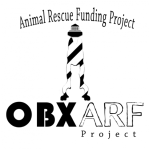 The now annual Outer Banks Beach Babes calendar is a project to raise funds for the Outer Banks Animal Rescue Funding Project, affectionately known as the OBX ARF Project! 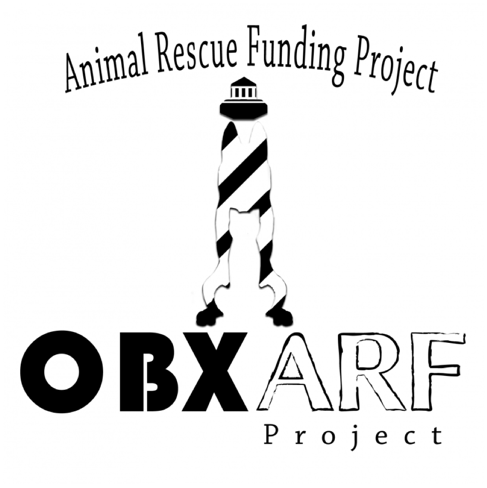 The OBX ARF Project was created jointly by Tail Waggin’ Photography, Ocean Sands K-9 Resort, and OBX Puparazzi in early 2015 to assist local animal-related charities by raising money to help their various missions in promoting education, rehabilitation, rescue, and adoption in Dare County. 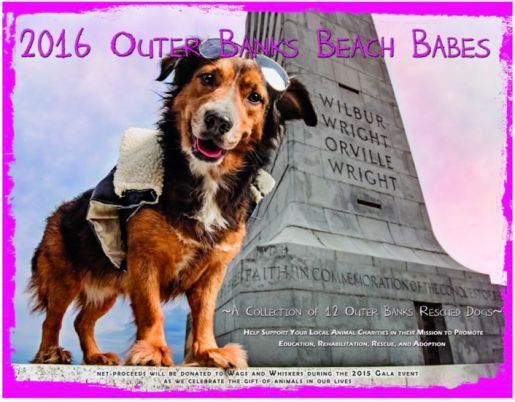 As fellow animal lovers, BRE is proud to be on board, in hopes that the Beach Babes calendar raises a significant amount of money to be distributed to five local charities. 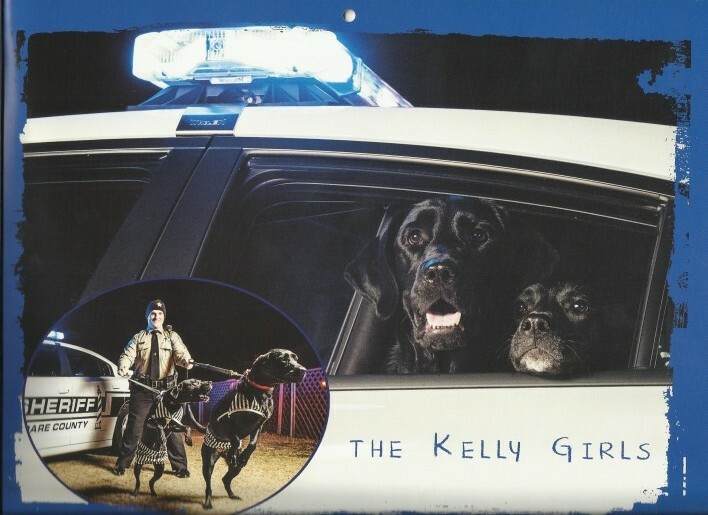 To the left, the Kelly Girls, BRE’s models for September, rock the traditional jailhouse stripes in their matching bikini tops and swim skirts. 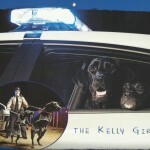 The Kelly Girls had been booked on charges of overt cuteness – guilty as charged! They are among many dogs and other animals that have been rescued, rehabilitated and that are in need of good, loving forever-homes. 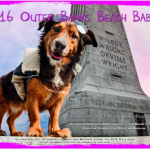 For more information on reserving your copy of the limited supply of 2016 Beach Babes Calendars or maybe to see if your furbaby has what it takes to be superstar Beach Babe, please visit the Tail Waggin site. Servicing the Outer Banks, Eastern North Carolina, and Southeastern Virginia. 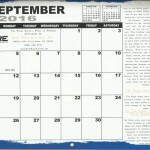 © Copyright 2016 Bear Rock Electric, Inc.